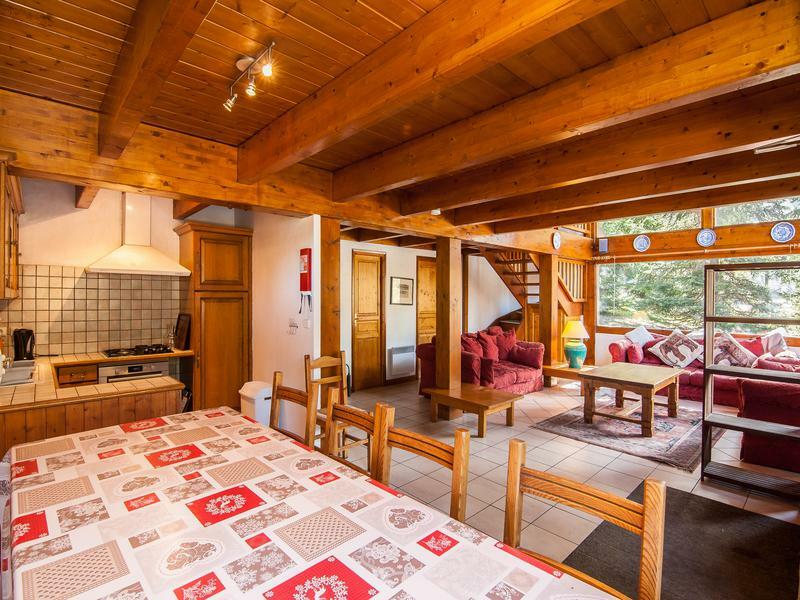 This lovely chalet is in a fantastic location with only a 4 minute walk to the centre of Méribel. 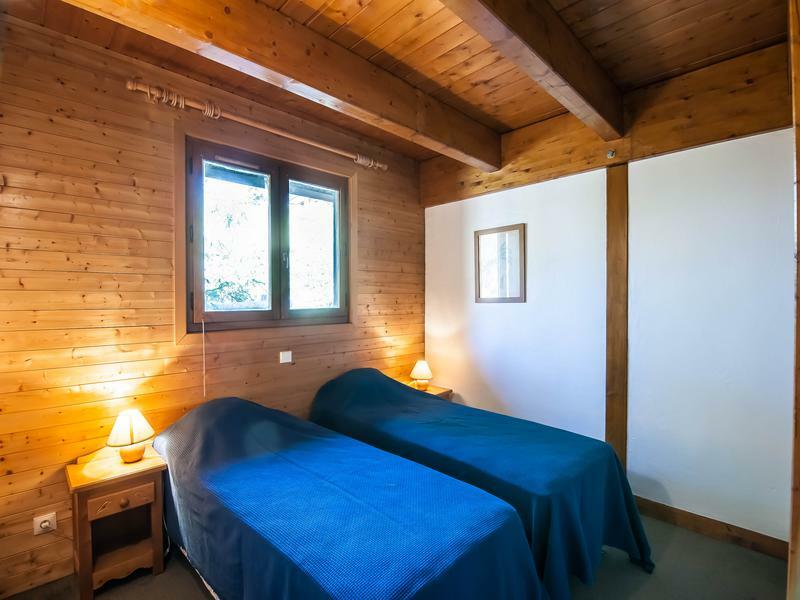 Surrounded by trees the chalet has a very private feel and benefits from private parking for 4 cars. It boasts a spacious open plan lounge and dining area and the large windows allow maximum light and clarity. 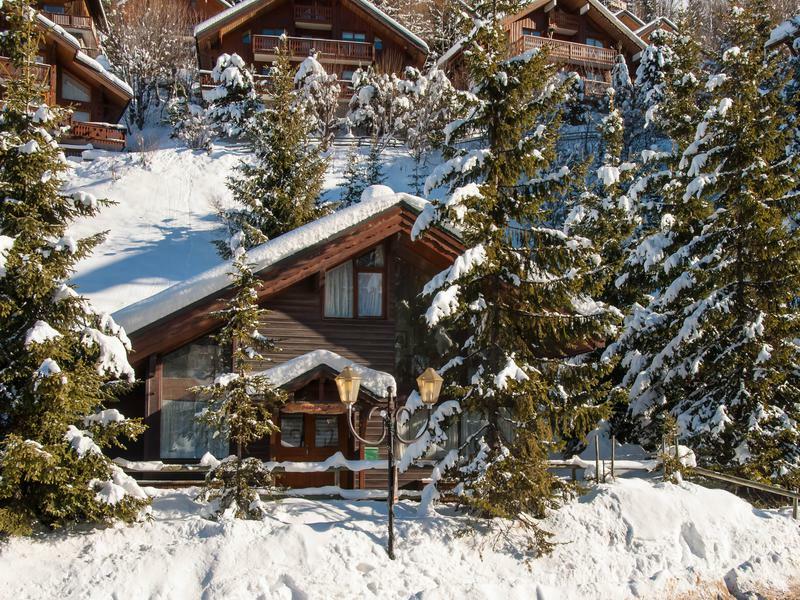 Full en suite facilities for each of the 4 bedrooms and ample provision for hot water makes the chalet perfect for an active family second home in one of skiing’s most sought after destinations. 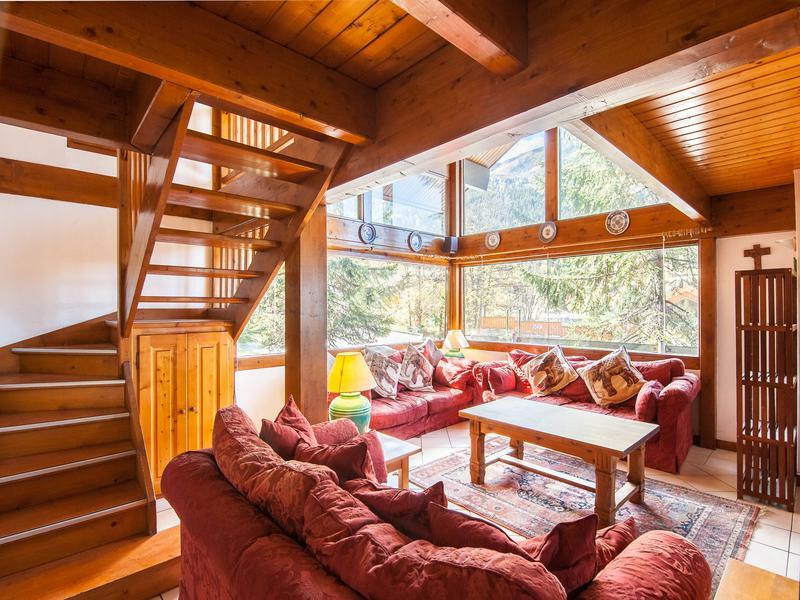 Alternatively the chalet could make an ideal investment opportunity with its prime location as a rental property. The front door brings one into the spacious, open plan, fully equipped kitchen, dining and living room area (50.7m²). 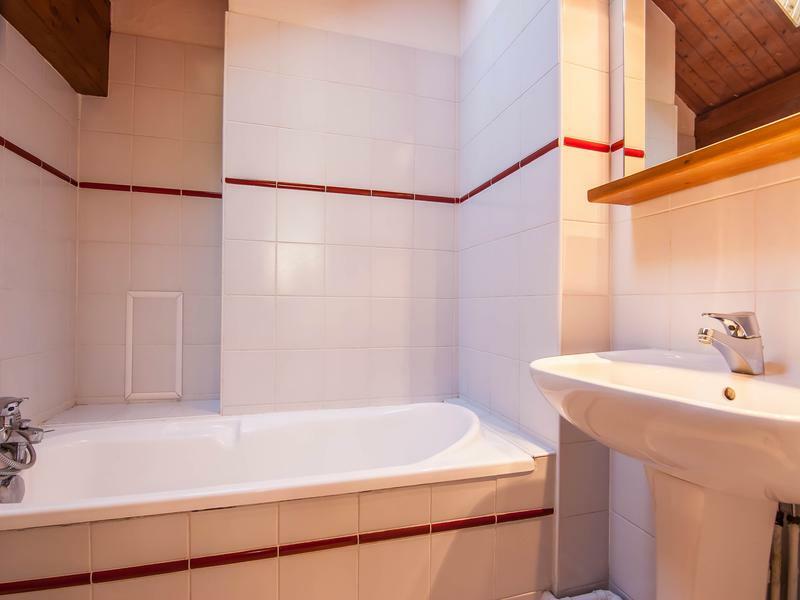 On this level are two of the four double bedrooms. 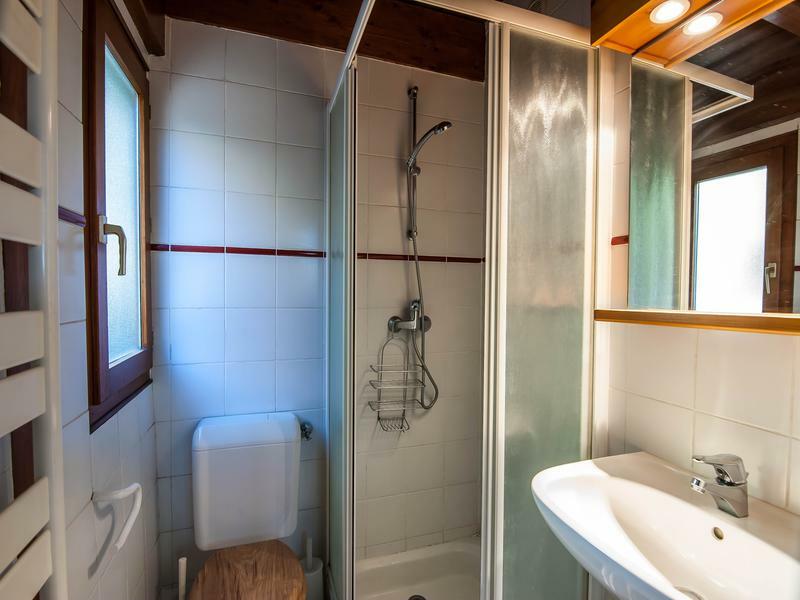 The first (9.5m²) with en suite shower room and WC (2.3m²) and the second (9.8m) with en suite bathroom with WC (2.8m²). This level also benefits from a separate WC off the main living area. Stairs lead up to the first level with a further two double bedrooms. 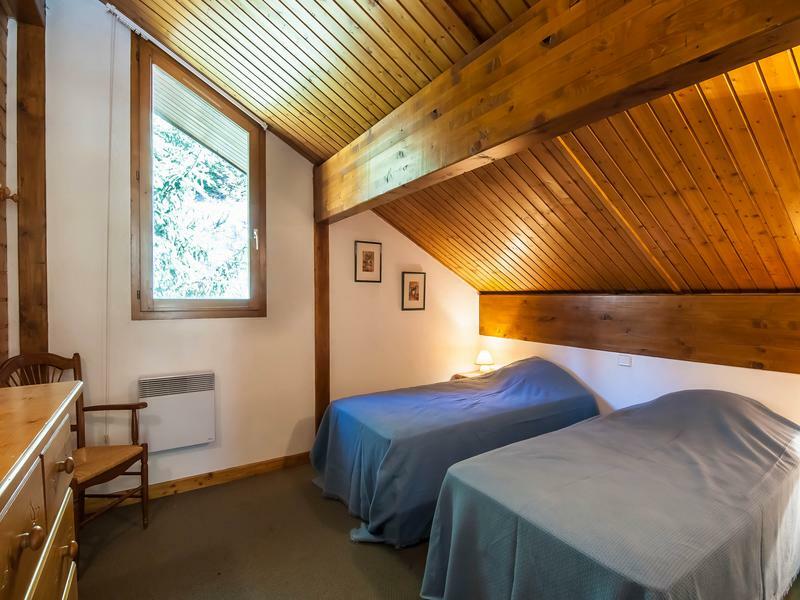 A first double bedroom in the eaves (15.3m²) with ensuite bathroom and WC (3.0m²) and a second double bedroom (12.1m²) in the eaves with ensuite bathroom and WC (3.1m²). 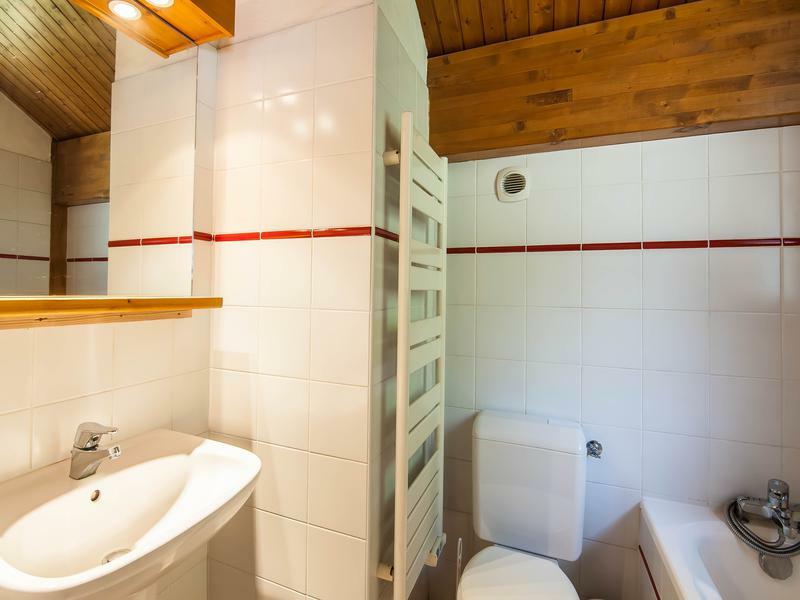 Adjacent to one of the bedrooms is a utility/storage area (14.6m² and an additional 9.2m² less than 1.8m in height) containing switchboard and hot water storage. This could be modified to also contain a laundry. 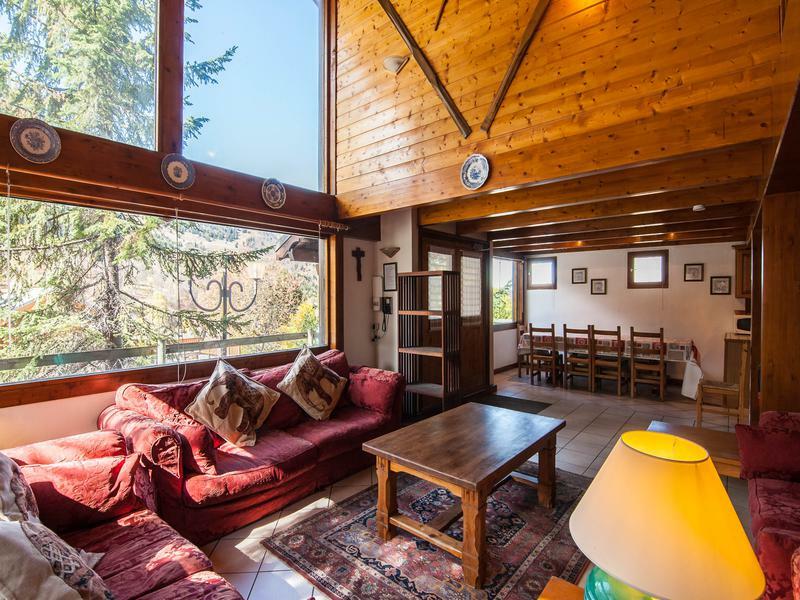 Located near Méribel centre the chalet is perfectly situated to enable you to fully enjoy Méribel’s numerous bars and restaurants once the day’s skiing is over. There is also a bus stop, for Méribel’s free shuttle service, next to the chalet’s parking for those wishing to explore the rest of the valley’s charms without the need for a car. 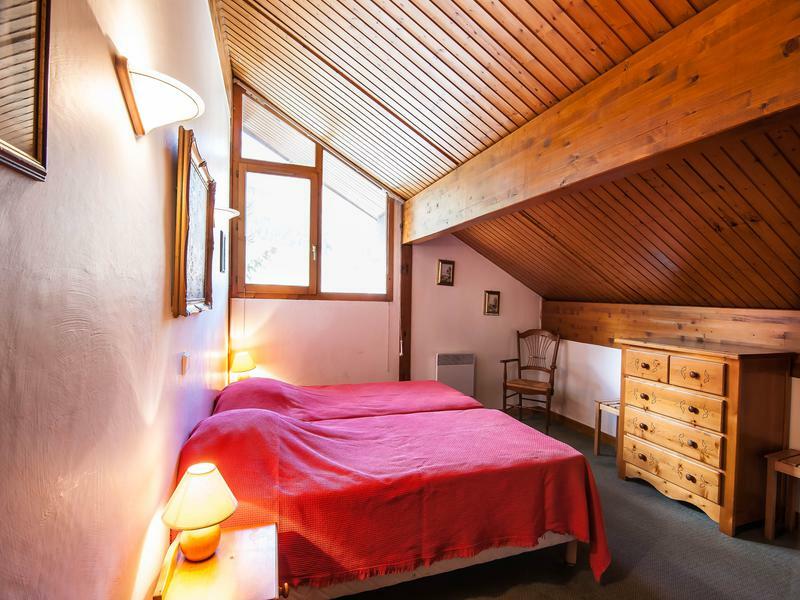 This is a great opportunity to acquire a comfortable, versatile chalet in an unrivalled location close to the centre of Méribel. 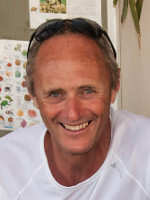 The chalet’s prime location has meant the current owners have been able to benefit from guaranteed tour operator rental income making the chalet a fantastic investment opportunity as well. For your day’s skiing a short 4 minute walk brings you to the foot of the ski access escalator right in the centre of Méribel. From here it is a short, easy ski down to the Chaudanne, the main skilift departure point from Méribel, and then off to explore the world famous Three Valleys ski area complex. The Three Valleys (Méribel - Brides Les Bains - Courchevel - La Tania - Les Menuires - St Martin de Belleville - Val Thorens - Orelle) is the world’s most extensive fully linked ski area, with over 600 km of groomed pistes. The Méribel valley, at the heart of the Three Valleys, boasts a perfect compromise between high altitude skiing and tree-lined pistes. Extensive snowmaking and a modern sophisticated lift system makes Méribel a very attractive skiing destination.